After identification of the Na,K-ATPase as active ion transporter that maintains the Na+ and K+ concentration gradient across the membrane of virtually all animal cells, a long history of mechanistic studies began in which enzyme activity and ion-transport were intensively investigated. A basis for detailed understanding was laid in the so-called Post-Albers pump cycle. 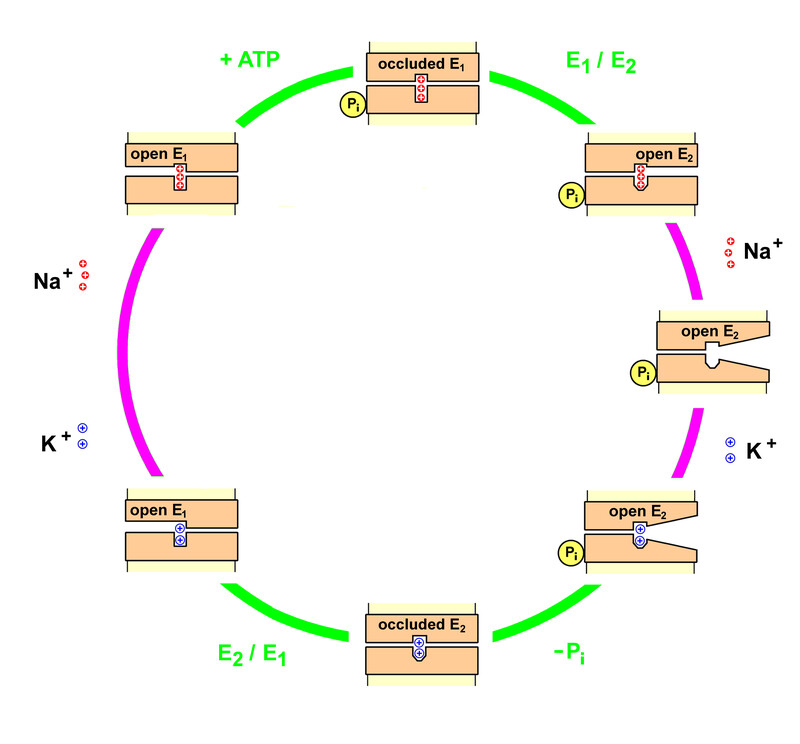 Developing new experimental techniques allowed the determination of different flux modes, the analysis of the kinetics of enzyme phosphorylation and dephosphorylation as well as of the transport of Na+ and K+ ions across the membrane. The accumulation of results from transport studies allowed the proposal of the gated channel concept that turned out to be a successful approach to explain the transport-related experimental findings. Eventually, it found its counterpart in the high-resolution structure of the ion pump. Recently it turned out that simple mutations of the Na,K-ATPase are the cause of several diseases.